Rachel Cohn, author of NICK & NORA's INFINITE PLAYLIST (with David Levithan) among others, introduces us today to BETA, the start of a four book series. Book 1 is set to come out on October 16, 2012 with Disney Hyperion. In a world constructed to absolute perfection, imperfection is difficult to understand—and impossible to hide. Elysia is a clone, created in a laboratory, born as a sixteen year old girl, an empty vessel with no life experience to draw from. She is a Beta, an experimental model of teenaged clone. She was replicated from another teenage girl, who had to die in order for Elysia to be created. Elysia’s purpose is to serve the inhabitants of Demesne, an island paradise for the wealthiest people on earth. Everything about Demesne is bioengineered for perfection. Even the air there induces a strange, euphoric high that only the island’s workers—soulless clones like Elysia—are immune to. At first, Elysia’s new life on this island paradise is idyllic and pampered. But she soon sees that Demesne’s human residents, the most privileged people in the world who should want for nothing, yearn. And, she comes to realize that beneath its flawless exterior, there is an undercurrent of discontent amongst Demesne’s worker clones. She knows she is soulless and cannot feel and should not care—so why are overpowering sensations clouding Elysia’s mind? If anyone discovers that Elysia isn’t the unfeeling clone she must pretend to be, she will suffer a fate too terrible to imagine. When Elysia’s one chance at happiness is ripped away from her with breathtaking cruelty, emotions she’s always had but never understood are unleashed. As rage, terror, and desire threaten to overwhelm her, Elysia must find the will to survive. 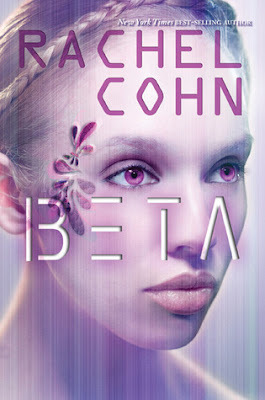 The first in a dazzlingly original science fiction series from best-selling author Rachel Cohn, Beta is a haunting, unforgettable story of courage and love in a corrupted world. Life is dark! And we like our stories to reflect that. But I think fictional worlds allow us to go to deep, dark places that are also safe, where creepy terror can feel real, until you close the book and return to your regularly-scheduled (hopefully terror-free) life. I can't speak for other people, but certainly that's why I like dark stories. Also, to know I'm not alone in with feelings of darkness. If BETA had a theme song, what would it be and why? "Swim Until You Can't See Land" by Frightened Rabbit, because listening to that song practically wrote this book. The story is very water-oriented (Elysia is a great swimmer and diver), and the lyrics really spoke to me and what Elysia was experiencing. 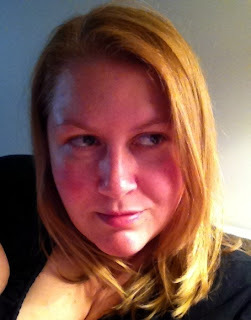 The rest of me is a version of man, built to collapse into crumbs. I may have died in a land-slide of the rocks, the hopes and fears. So swim until you can't see land. As a newly emerged clone, Elysia is a very raw being, with no context of experience. She is very eager to experience life, so I think she would be especially drawn to anybody who felt extreme curiosity for every single thing, along with great intelligence and kindness, someone who would not be judgmental of Elysia as an inferior being because she's not "real." I wracked my brain on this one and finally settled on perhaps not the most original choice, but definitely one I think would be a great guide and BFF to Elysia: Hermione Granger. I confess I'm not particularly well read in this area, but here are some I've loved. The Hunger Games by Suzanne Collins. Do I really need to say why? We already know! Because it's so freaking awesome! Incredible action and suspense mixed with a huge depth of heart and imagination. Every page perfect. Feed by M.T. Anderson for the pure brilliance of the writing. It's a pretty bleak book but so smart and funny and just masterfully written. Bumped by Megan McCafferty. I love this dystopian take on the issue of teen pregnancy. Very funny and original, but also with a lot to say about women's reproductive rights through the lens of teen experience and slang. I keep waiting to go to Italy until I can really make an event out of it, and I hope the end-of-the-world isn't what finally gets me there, but it's definitely a country I'd like to see and eat my way across before I die (fat and happy). BETA is a classic "fish out of water" story -- nothing too new or original in that -- but what's different about it, I think, is the way in which it's told, through the prism of a teenaged clone who has only just been "born" and has no life experience to inform or support anything she sees or does. And, she's a clone who is not supposed to feel emotion, only mimic it in ways that please humans. This was a really challenging perspective to write, but definitely the most rewarding of anything I've done. I hope readers like it! Thanks Rachel - looking forward! Thank you for the closer look at BETA. I've had it on my Goodreads to-read list for a while because I loved the sound of it in the short description and even more with this longer summary. The summary you posted pretty much grabbed me and wouldn't let go, so I know that I need to read this one. I also love the choice of lyrics for the book. So much here of interest today. Thanks for sharing it, and for making me really eager to try this one! Thanks for the interesting interview. Beta seems so different from her other works that I've read. Thanks for the interview. BETA sounds interesting. At first that summary made me think about the book Ugly but this one seems more dark and intense. This is the first time I'm hearing about this book. Sounds very appealing. Can't wait to find out more about it! Hermoine would be a great sidekick for anyone!